Creative Cloud Pen and Digital Ruler. Introducing creative hardware that makes sketching and drawing more natural and fluid. Designed to be used with the iPad, Adobe Ink is a fine-tip, pressure-sensitive pen built using Adonit Pixelpoint technology to give you greater creative control and unprecedented precision. Adobe Slide is a digital ruler that lets you draw any shape on your iPad — including straight lines, perfect circles, classic French curves, and more. 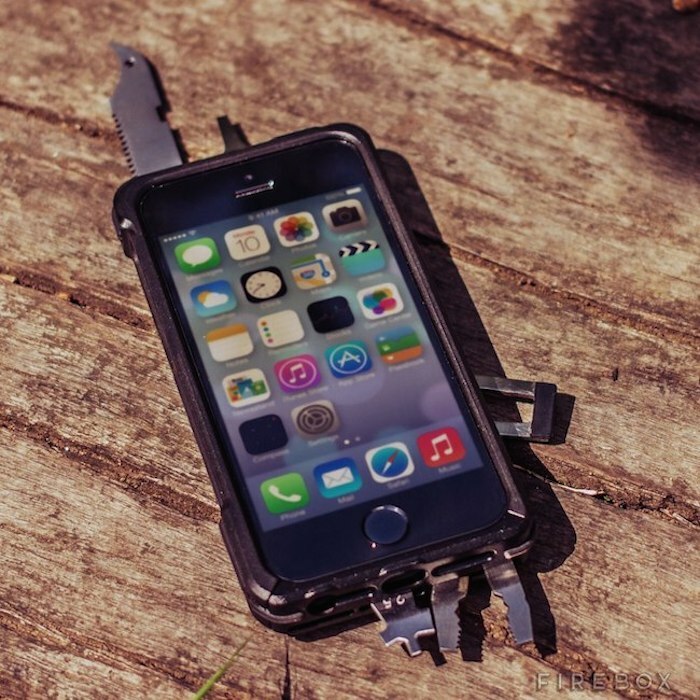 iPhone can now serve as an excellent multi-tool kit too with the TaskOne G3 Pro iPhone Tool Case. The mini tool case weighing just 89g and adding a meagre 5mm to the phone’s thickness comes with 22 hard quality steel tools you need everyday. This ranges from a pair of pliers, spoke wrenches, a saw, flathead and Phillips screwdrivers, a bottle opener and many more. Be it slicing your steak at the picnic or fixing your bike incase it falls apart, TaskOne is a case that comes handy for every traveller with an iPhone. It’s undoubtedly an incredible piece of watchmaking technology you can’t ignore wearing on the wrists as the CST-01: The World’s Thinnest Watch. The concept lies in enhancing the use of E-ink displays with an added touch of low energy usage and ruggedness in design. Having the display housed in a piece of stainless steel gives the watch that sparkling glamor one craves for wearing on the wrists. What’s truly classic is its thinness which is close to weighing less than 5 pennies at 12 grams. To enable this kind of slim design, there is no button or knob attached on the timepiece. 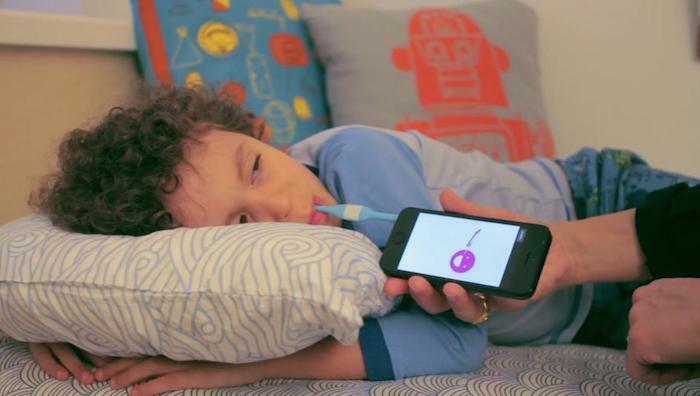 Welcome to the age of futuristic health technology with your very own Kinsa Smart Thermometer that keeps your entire family’s health status on your phone. It’s not just an ordinary thermometer you had been used to till date; where lies the difference is the additional aspect of technological growth from an everyday health tracker each individual has at home. By connecting with your smartphone through the normal audio jack port, this thermometer transfers your health data directly on your phone. 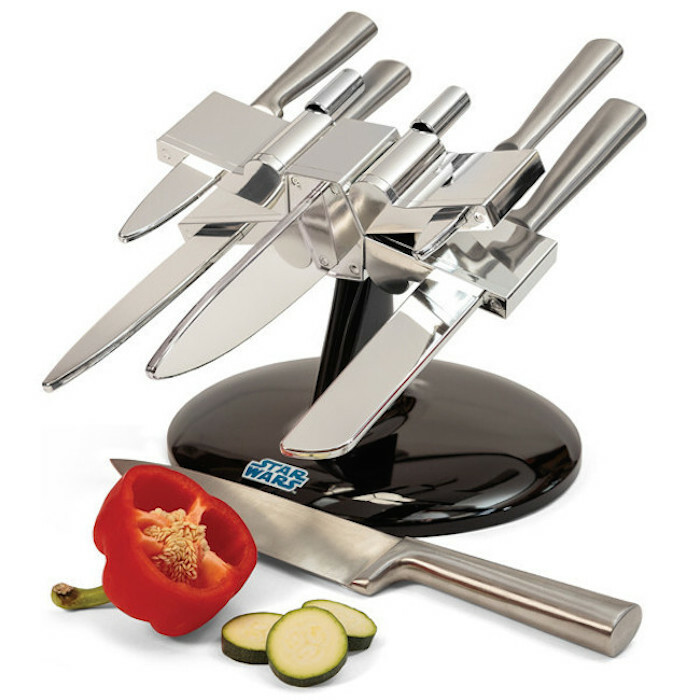 The Star Wars X-Wing Knife Block gives your regular old kitchenware a rebellious kick in the vegetables. Storing five high quality stainless steel knives, this officially licensed holder looks glorious from any angle. Chrome finished and standing over 20cm high, the X-Wing Knife Block raises the status of the humble knife holder. Bring an adventurous and entertaining angle while exploring the oceanic world with this new water sport accessory called Subwing. By attaching it to a boat with recommended rope length of about 15 meter, it enables you to choose your own pace and glide on the water surface with ease and fun. In order to change direction, you can simply vary the position of the wings which will then direct you towards where you want to go. 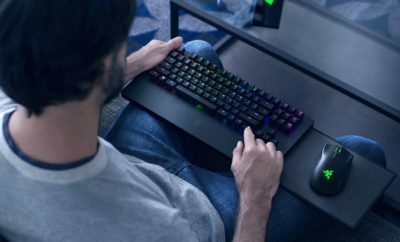 With 18+ functions between this duo, and multiple knotless gear tying options – this combo is ready for any tool-needed mission!With unique, sleek designs, the Cloak and Dagger are equipped to help you with your next mission whether it be in your garage or the great outdoors. 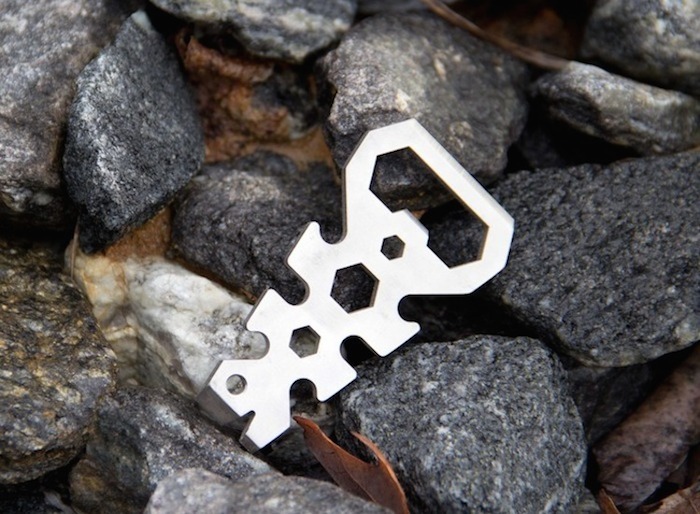 Let the Cloak and Dagger multi-tool agents reveal their well-designed – but not at all concealed – talents and potential. 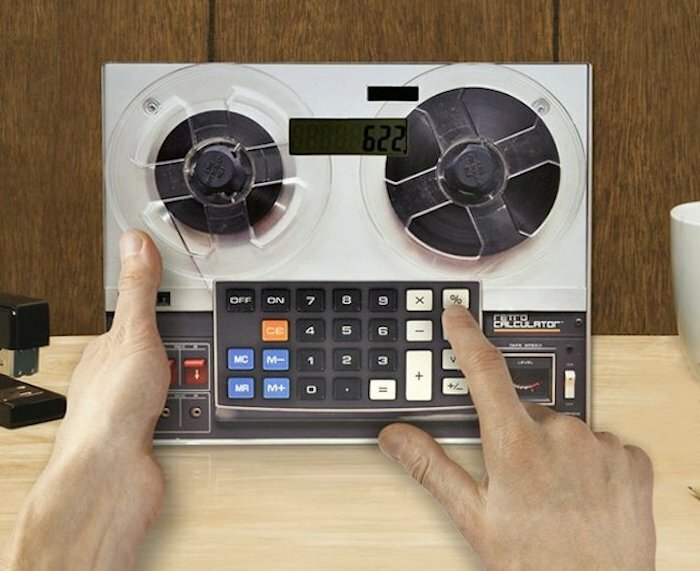 Using the electronic advancement of technology through calculating devices isn’t a fresh start anymore but what’s new is the way this gets highlighted on the brand new Retro Calculator. It not only features a ‘digital’ display and number memory storage but is also a smart solution that draws its power from solar energy. Just like how calculators generally are, this can perform arithmetic faster than your brain itself and provides accurate results upto 2 decimal places. By showcasing one of the most deadly underwater creatures from the depths of its glass surface, the JAWS Shark Attack Glass has taken creativity to a dangerously excellent level. The glass is highly tolerable to a large temperature range from minus 20 degrees up to 180 degrees Celsius and is also acid, alkali and water resistant at the same time. A shot glass by function, the inbuilt shark mold is what makes it a class in the world of glassware that lies around.